Christopher Kolakowski will present his book The Boy Colonel: Arthur MacArthur and his Legacy. Christopher L. Kolakowski was born and raised in Fredericksburg, Va. He received his BA in History and Mass Communications from Emory & Henry College, and his MA in Public History from the State University of New York at Albany. Chris has spent his career interpreting and preserving American military history with the National Park Service, New York State government, the Rensselaer County (NY) Historical Society, the Civil War Preservation Trust, Kentucky State Parks, and the U.S. Army. He has written and spoken on various aspects of military history and leadership from 1775 to the present. He has published two books with the History Press: The Civil War at Perryville: Battling For the Bluegrass and The Stones River and Tullahoma Campaign: This Army Does Not Retreat. Chris is a contributor to the Emerging Civil War Blog, and his study of the 1941-42 Philippine Campaign titled Last Stand on Bataan was released by McFarland in late February 2016. In September 2016 the U.S. Army published his volume on the 1862 Virginia Campaigns as part of its sesquicentennial series on the Civil War. Chris lives in Norfolk, Virginia. Chris came to Norfolk having served as Director of the General George Patton Museum and Center of Leadership in Fort Knox, KY from 2009 to 2013. 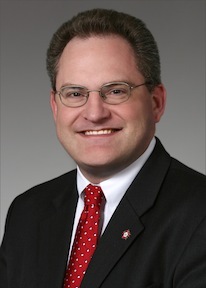 He became the MacArthur Memorial Director on September 16, 2013.